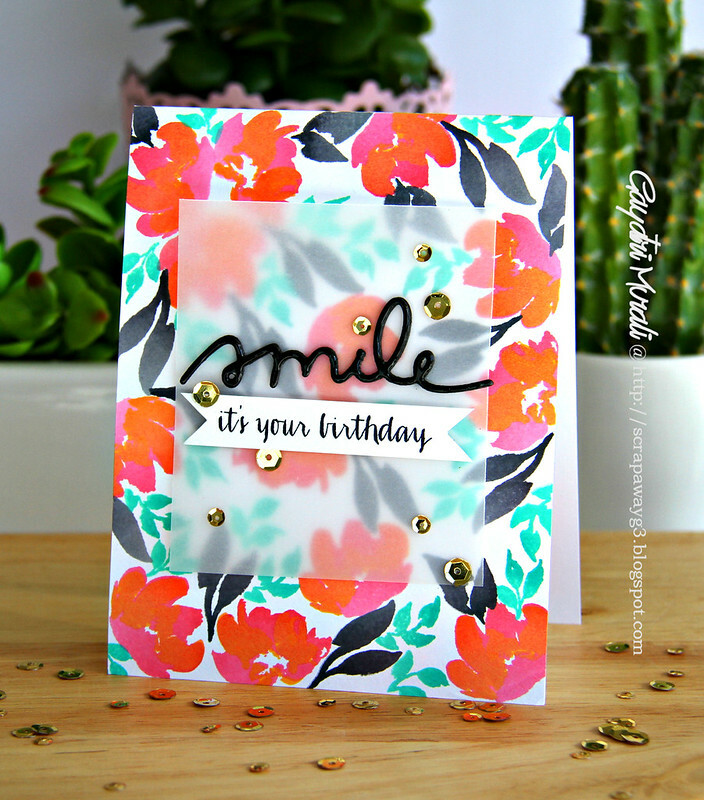 A quick post today sharing a card I made using the new Wplus9 goodies that arrived last week. Watercolouring is massive at the moment. I love the technique as it is very forgiving. No need to have a clean and crisp image. More softer the image, the better it looks. But then this stamp set called Watercoloured Anemones from Wplus9 comes along and you can stamp watercoloured images without watercolours or brush. How cool is that? I love such stamp sets. To somebody like me who is a beginner at watercolouring, this set is perfect to achieve the professional watercolour look without having to do watercolouring. Yay! So I stamped the flowers and leaves from Watercoloured Anemones stamp set and created the background on the card front. 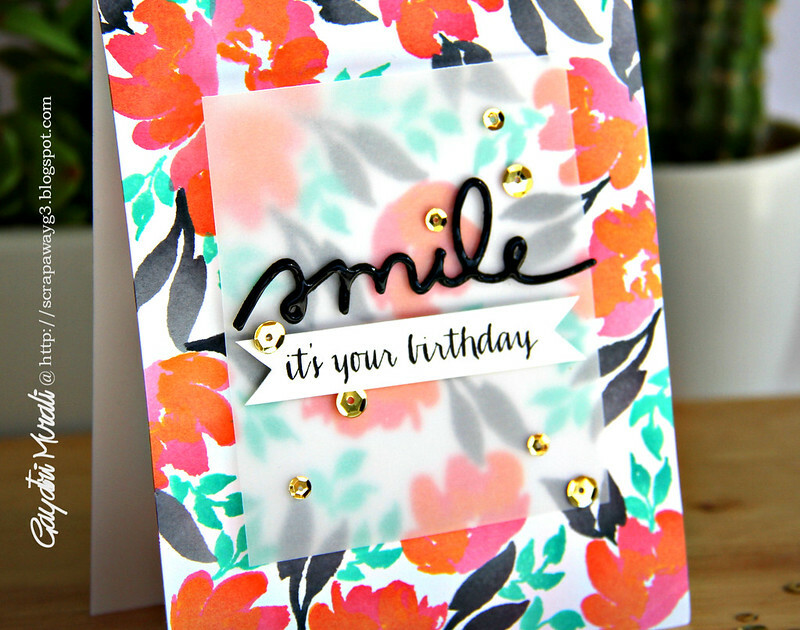 I then die cut the “Smile” from Flower doodle dies three time with black cardstock. They are stacked and glued with glossy accent which I also applied generously on the top to get the glossy finish to the die cut. The smaller sentiment is from Strictly Sentiments 5 stamped on a strip of white cardstock, trimmed fish tail edges and added to the die cut sentiment. Its Beautiful ! I love the bold colors on your card ,though they are bright, bold but never overpowering ! The color combination you chose is beautiful!!! Love the pops of black. very beautiful Gayatri.. love it!! Bright and bold!! Love this beautiful card, Gayatri! Congratulations, Gayatri!!! I'm so glad to see your lovely work on the SSS Wednesday Challenge team.